The Wisconsin Sustainable Agriculture Professional Development Program offers mini-grants to Agricultural Educators for professional development in sustainable agriculture. Who can apply? UW Extension agriculture educators may apply for a grant. Applications are also accepted from local and state agencies and non-governmental organizations that work with farmers. Collaborative projects with multiple partners are encouraged. What is the maximum grant amount? 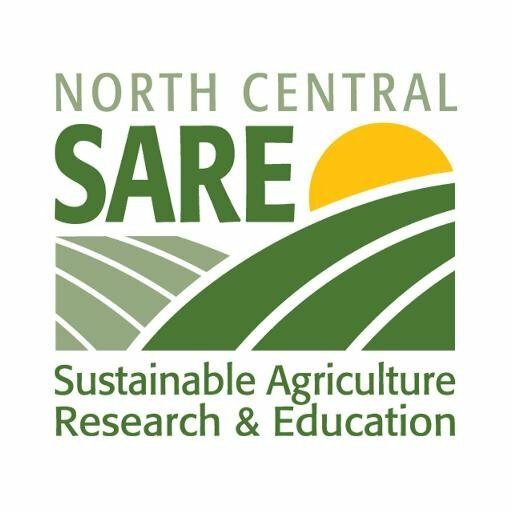 You can apply for up to $3,000 through the SARE mini-grant program. Applications for smaller amounts are encouraged. What is the application process? Fill out the Mini-grant Application Form and e-mail it to Diane Mayerfeld at dbmayerfeld@wisc.edu. Applications are due by Friday, February 20th, 2019, and funding decisions will be made by March 11th, 2019. We also accept rolling mini-grant applications later in the year, if there are still SARE funds available. Please allow at least 30 days for a decision on your application. promote the professional development of agricultural educators. establishing a new network of farmers and educators to explore or promote an aspect of sustainable agriculture. If a significant proportion of your project audience will be educators, then the project will satisfy the professional development requirement. If your primary audience will be farmers, then the project should address a program focus that will be new for you, and you must have a plan for sharing the results with your colleagues in order to satisfy the professional development requirement. Sustainable agriculture topic areas include (but are not limited to) cover crops and soil health, agroforestry, grazing, alternative crops, energy conservation, sustainable responses to climate change, pollinator conservation, social dimensions of sustainable agriculture, organic agriculture, and local foods. Does the project promote environmental, economic, and social sustainability in agriculture? Will the project result in new knowledge or skills for educators? Is the project well thought out and feasible? Will the project measure its impact? Will the project be completed within a year of receiving the grant? How will the money be given out? The money will be provided on a reimbursement basis or invoices will be paid directly from the SARE account in Extension. Some mini-grants will require a formal sub-contract. Summary: This project tested four distinct theoretically informed messages for four Community Supported Agricultural (CSA) farms from geographically distinct areas of Wisconsin. Selection criteria included 1) different geographic areas of the state, 2) potential member base serves diverse audiences (e.g. rural/urban/suburban, ethnicity, different stages of business cycle), and 3) a functioning Facebook page and website. Four concepts were tested. The advertisement titled “Our Farm to Your Table,” which emphasized the personal connection between the farmer and CSA member, performed better than other advertisements in the experiment. The “Locally Grown” in Wisconsin performed second best on average, with the remaining two advertisements (fresh and tasty & social norms) performing similarly and not as well as the other advertisements. Summary: This SARE mini grant allowed us to undertake a focused effort to attract and serve Hmong and Latino growers at the inaugural Organic Vegetable Production Conference in 2017. The main components of this effort were 1) strategic outreach to bolster attendance and participation among Hmong and Latino growers and 2) integrating appropriate language accommodations to ensure full conference accessibility for growers with limited English proficiency. Through this effort, 18 Hmong growers and 6 Latino growers attended the conference. We received 13 written evaluations from the 24 growers in attendance. Their average rating for overall conference accessibility was 4.45 out of a possible top rating of 5. Summary: In July 2016 a very humid 90+ degree day didn’t keep 73 attendees away from an organic no-till demonstration in Vernon County. This project brought people from the area and throughout the state together for a demonstration and an open discussion of how utilizing cover crops and the Roller-Crimper/Organic No-Till technique can have a positive impact on yield, weed control, and soil erosion. Attendees viewed the demo sites of winter rye crimped over and planted to soybeans. UW Researcher Dr. Erin Silva presented lessons learned over many years of performing the Roller Crimper Technique. Dr. Silva also summarized information on economics and yield potentials based on many trials. Steve Hornby (the farmer) and Ben Wojahn (Vernon County Land & Water) went over the details of the planting, the challenges, and some key points to ensuring the Roller-Crimpers success. NRCS Soils Specialists Shaunna Repking and Justin Morris performed multiple Soil Health Demonstrations including the very exciting Rainfall Simulator. The Rainfall Simulator compared soil samples taken from Roller-Crimped soybeans and “conventionally farmed” organic soybeans, as well as a sample from corn on corn from a similar soil type. The result was a clear demonstration of the value in reduced soil loss when utilizing the Roller-Crimper technique. Summary: In 2015 increased interest in irrigation resulted in increased Extension programing and outreach in this area. The Understanding Crop Irrigation site was created to address this need, but the initial site was insufficient to meet the needs of agricultural educators. SARE mini-grant funds allowed Extension to add significant new content and improve the layout, making the site easier to navigate. Extension educators are now using the site to train themselves as well as referring clients. In addition, new content is added as questions come in. Summary: Cover crop demonstration. This project clearly demonstrated the ability to grow a fall cover crop of winter rye and hairy vetch and harvest the crop as hay in early June. The forage yield was 1.85 tons per acre. Part of this project was to measure the nitrogen contributions of the vetch to following crop. The yields of the pearl millet crop that followed closely match the 60 lbs per acre nitrogen fertilizer application areas that yielded 3.2 tons per acre of pearl millet hay with a protein value of 12% and a RFV of 121. Summary: Public workshop on local and sustainable food and nutrition. Project highlights included a diverse group of agriculture producers and nutrition educators who were able to share their experiences, knowledge, and ideas to help attendees learn more about sustainability. Our program focused on supporting local food systems, availability and access, and nutrition of sustainable foods. Our intention with broad topics was to draw in people of various interests within sustainability. The intention was good, but ended up being a downfall because we felt that we were too broad and not focused enough to appeal to more people. 43 people attended, including presenters. Copies will be mailed to clients without high-speed internet access upon request.